The Cambodian government has announced its intention to resume international child placement as early as April 1, 2012. This means adoptions in Cambodia will not resume for U.S. Citizens or Non-U.S. Citizens before April 1, 2012. The U.S. has stated that specific safeguards and procedures must be in place before it will agree to allow U.S. Citizens to proceed with adoptions. If we receive any new updates on Cambodia’s adoption status, we will provide updates here. 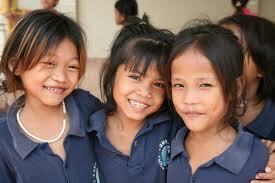 It is our hope that under the new adoption system, Nightlight will be able to resume our Cambodia Adoption program. About 2 months ago, on August 27, a heavy storm hit the Phnom Penh region in Cambodia, causing structural damage at the Children’s Relief Center – in particular, the school house roof, the parking hut, and the stable for the chicken, geese, oxen, and cows. Fortunately, no one was injured in the storm.